The Pakistani Taliban has pledged support to militant groups fighting in Iraq and Syria; a move that should be taken seriously as the number of "Islamic State" sympathizers is rising, analyst Hassan Abbas tells DW. Pakistani Taliban militants offered help to radical Muslim groups fighting in Iraq and Syria, according to a statement marking the Muslim holy festival of Eid al-Adha on October 4. Taliban chief Mullah Fazlullah addressed the fighters in the Middle East as "mujahideen brothers" and vowed to support them. "Mujahideen fighting in Iraq and Syria are our brothers and we are proud of their victories. We are part of them in moments of joy and sadness," said Fazlullah, according to the news agency dpa. "We are with you in these troubles and will help you in whatever way it is possible for us," he said. The statement also called for unity between the different jihadist groups, coming even as its own group faces deepening internal divisions. "Islamic State" (IS), which controls vast swathes of land in Syria and Iraq, has been attempting to gain a foothold in South Asia. Hassan Abbas, Chair at the National Defense University in Washington and author of the book The Taliban Revival, says in a DW interview that while there is still little evidence of IS activity in South Asia, the jihadist organization or other similar groups will attempt to expand their area of influence, should the security situation deteriorate in the region. DW: How seriously should the international community take this pledge of allegiance by the Pakistani Taliban to IS? Hassan Abbas: This development should be taken very seriously. The Pakistani Taliban or Tehrik-i-Taliban Pakistan grew out of a wedlock between Pakistani militants and al Qaeda, so regional and global networking is not new to them. More recently, the Pakistani Taliban have also found their way into the Syrian conflict and the latest declaration is a product of the new networking process taking place around the battle for Syria. This was bound to happen but in the West we fooled ourselves into believing otherwise. Is there any evidence if IS presence in South Asia or of efforts to spread its influence in the region? There is very little evidence of direct IS activity in South Asia at the moment but the number of South Asian sympathizers is on the rise. Some propaganda materials from the group such as pamphlets were distributed in the Pakistani cities of Peshawar and Karachi in the past few weeks. But more than the Pakistani Taliban themselves, it is sectarian terrorist groups such as Lashkar-e-Jhangvi (LEJ) who are likely to spearhead the IS agenda - such as targeting Shia Muslims and also Sunni Muslims inclined towards Sufi thinking - among other things. How would the Pakistani Taliban be able to support IS? They can provide more foot soldiers - a few hundred are already operating in Syria and Iraq. More dangerous will be the ideological impact. At present, while IS is triggering the disgust of common Muslims in South Asia, extremists are very much cherishing the rise of the militant group as it gives them the idea that the Islamic state of their dreams is being realized. What is the Pakistani government's stance on IS? Given that the development is very recent, there has been little response so far. But it has become evident from the widespread terrorist attacks in recent years that the government of Pakistan is usually very slow in comprehending emerging security threats. How could IS benefit from the current rivalries between the different Taliban groups both in Afghanistan and Pakistan and the impending foreign troops withdrawal from Afghanistan? This can be a golden opportunity for IS. This is substantiated by the fact that even al Qaeda under its current leader Ayman al-Zawahiri has been trying to keep its membership intact by reframing its agenda and establishing a new branch of al Qaeda in South Asia. They are worried that IS may lure their supporters away. In the case of a deteriorating security situation in Afghanistan or parts of it, IS or other similar groups will attempt to expand their area of influence. 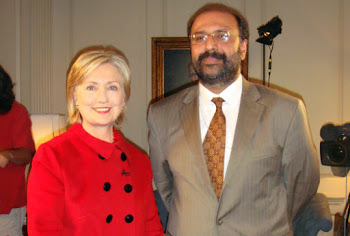 IS will likely pass on that task to the Pakistani Taliban who are looking for such a task. What could both local governments and the international community do to prevent this from happening? There are both short term and long term remedies we should think about. In short term, civilian law enforcement and military should collaborate on understanding the nature of this emerging threat scenario and also engage the public in terms of creating awareness in South Asian states, especially Pakistan. In Afghanistan, successful political transition - which is already taking shape - will be critical. In the long-term scenario, investing in deradicalization strategies and public education will bear fruits. 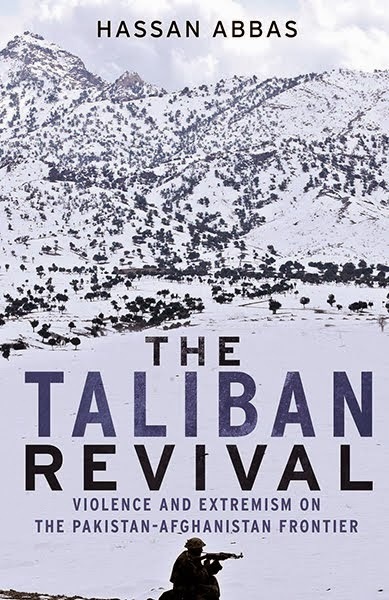 Hassan Abbas is Professor and Chair at the National Defense University in Washington and author of "The Taliban Revival" (Yale University Press). The statements are his personal opinion.